Well, we got slammed with snow, what a head rush. The last time I remember snow like this is before I moved from Minneapolis in 1994. 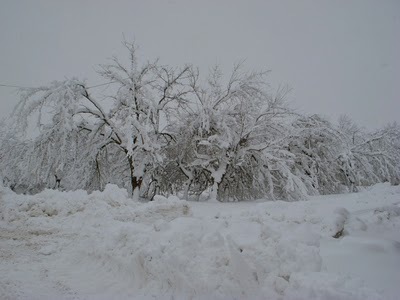 The last day in October 1993 Minneapolis received over thirty inches of snow, and one month later another twenty five inches. 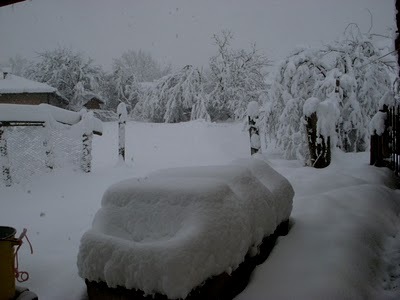 Here in Bulgaria the snow level is close to over a foot, and it is still snowing. 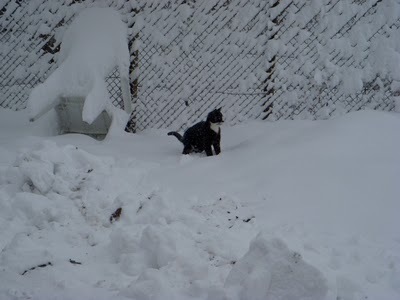 My cat is enjoying his first year of snow. The little white cat “Ola” that I mentioned prior is one strange cat. She got caught in between the door about a month ago, and will not come into the house. It is best because he needs to learn how to survive on his own. My cat “Mitts” is a house cat and I will find him a good home, but the white cat nobody will want as a pet because he is not a pet, he does not like humans but loves Mitts. I can say Ola will survive just fine. She is a very strong, stubborn cat. 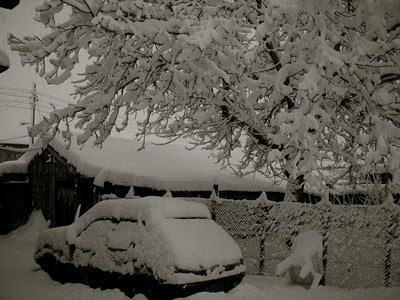 So you might be wondering how is the situation with so much snow and the car totally dug in? No problem for me, I have plenty of wood which is number one. My house is stocked with enough food except for resupplying with veggies and fruit. The plow did come by, but I have a lot of shoveling before there is any car escape. This morning the village was a complete quite ghost town of whiteness. As you can tell from the picture below my wash tubs are out temporary our of order. It is a site to behold. I like the hibernation style of winter. 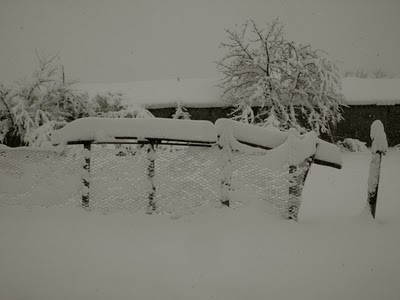 My neighbor said it is suppose to stop snowing tonight, we will see. I have no TV so it is mostly a guessing game. The weather is always a neutral subject; have no fear the weather will always be here—it’s not like talking about the New World Order. Woo1 it amazing! there really lot of ice! its too much!! Sleeping in fur jammies is where its at! Reminds me of Crestline, welcome to the winter season. Looks like north Germany. I've never seen so much snow in my life and people seem oblivious. They really handle it pretty well. Being raised in Minnesota helps a lot to deal with snow like this. Yep, I would say that winter has officially arrived. We get snow like that in Canada and love it because a good blanket of snow always seems to warm everything up a bit believe it or not. It is the freezing sunny days that you have to watch out for. Oh, I am so worried for Ola, I hope you are right and he is strong. What a cute photo of Mitts. Enjoy the snow.Stay bundled up and go for a walk. Dave and I used to own two 4 wheel drive trucks when we had our house and would never shovel the driveway, we would just drive over the snow…seriously. We just had deep tire tracks in our driveway. Our neighbours must have hated us. We weren't the best homeowners. We never did any yardwork! 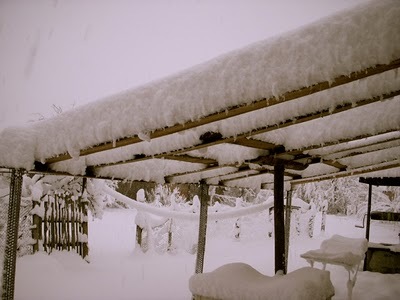 There is too much of snow. Everyone will love to visit these countries when they are like this. Right now I'm sitting on my warm cozy bed in one of the finest Hotels in Phuket and reading your blog 🙂 The snow looks awesome!!! Next post: The Snow has Melted. Previous post: It’s a Winter Village Life, and the Strength of an Ox.